Commitment Brings So Much Life To Life! There is a vast difference between a hobby and a life purpose, between a fling and a life partnership, between like and love. If you have too much hobby, fling and like, and too little purpose, partnership and love, it may be time to explore how well you do with commitment. At some point or another, you have to go all-in with your life, or if not all-in, immersed enough to be fully committed to things you are doing and to the people around you. If you can’t commit, you might live on the fringes of the fleeting and ephemeral for a long time. It may seem you give up alot of options when you commit- but if you commit to things that make you feel amazing, why do all the options matter? With commitment, you can innovate and expand in any area you focus on. you can redefine your job, you can create relationships that foster growth, you can turn your healthy lifestyle into an art form… but you need to commit before you can do anything really awesome in a stable way. Let’s put it this way- if you have one foot out the door, chances are that the foot you have in the door isn’t going to get promoted. Or married. Or make much progress. And if your half-way commitment does let you coast along, you are shortchanging your life a whole lot. And you likely feel it. While you might not know what- or who- to commit to right now, you can commit to exploring your passions in a new way. 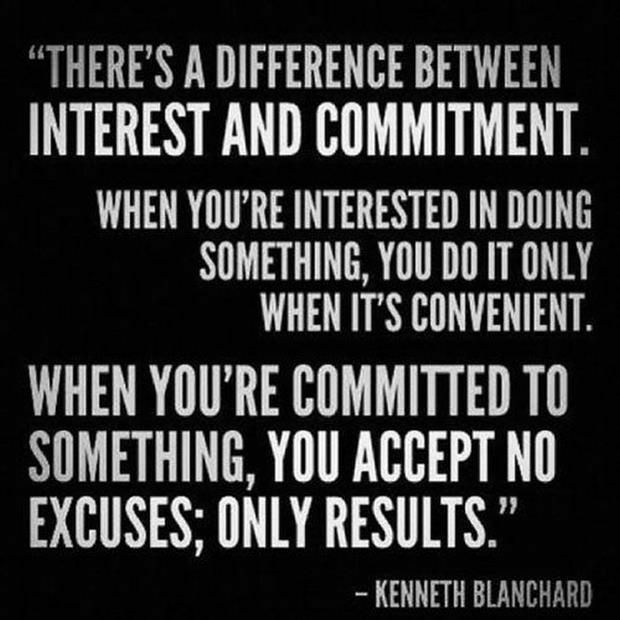 You can commit to finding commitment! Dana, you always inspire me! I am actually reading The Artist’s Way because of you and even though I am only on week one it is changing my life! Previous post: Three Big Reasons To Stop Living Under So Much Pressure!